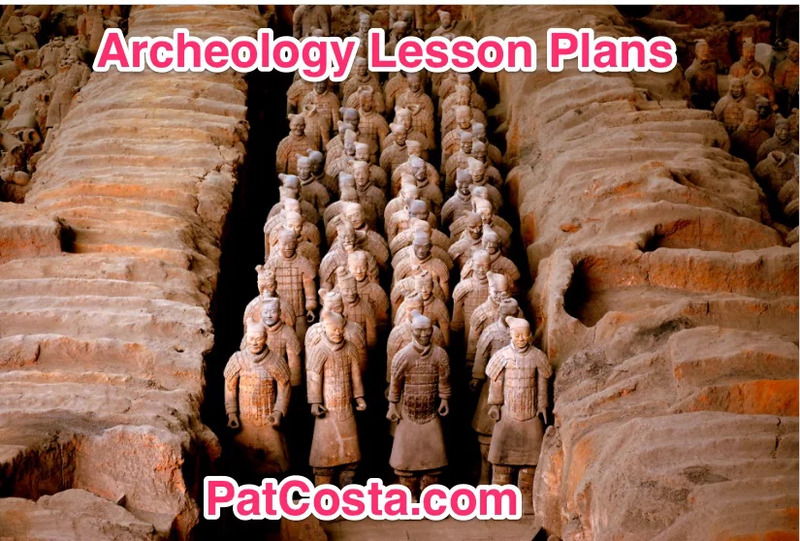 While I never had an opportunity to conduct a unit of Archeology Lesson Plans or a stimulated dig, I did have some notes and worksheets related to it. I figured this would be a 3-5 day unit. Maybe have students do a reading on a famous archeologist (or provide short snippets/bios from famous ones). Probably want to select a diverse group (male, female, minority, etc). Then discuss and share it. Possible career research to being an Archeologist? Prep 5-10 different archeology topics: Mayans, Aztec, Roman, Greek, Indian, China, 1800s, 1900s, Egyptian, Viking, etc. Pick a variety of topics and have students research the life of a commoner and rich person. Depending how you want to organize students may select a box or students may be randomly assigned a box. Students then use the techniques they learned about to analyze a shoebox and dig it. Students complete a recording sheet where they describe what they found, where they found, the number of the object, and the measurements of the object. There are several ways to present the dig. You could do the shoebox and put sand and objects in it. You could buy large tots or bins and fill it with sand and then put objects in it to make it a larger area. You could dig into the school yard property and place items. Obviously, if you have more classes it will take much longer to prep all the “digs”. You would obviously need to purchase items related to the different topics/cultures. Items that students could find in a dig such as bones, skulls, jewelry, clothing etc. may be purchased cheap around halloween/dollar store. Shoe boxes can be gotten from a shoe store (ask the manager), trowels, measuring tape (probably a fabric one) and other digging items may be purchased from Lowes/Home Depot, the dollar store, Goodwill etc. Students create a report on what they found and their hypothesis of the culture/kind of person. Students watch a hollywood film and compare and contrast real-life Archeology to how it is portrayed on the screen. Students complete a worksheet on the film and then compare and contrast. Here is an outline of some sources that I found to be helpful in sketching out my Archeology Lesson Plan idea.